Indian tyre major JK Tyre and Industries Limited will now feature in the coveted Limca Book of Records with their largest off-the-road tyre — the VEM 045. The mammoth tyre, 40.00-57 VEM 045, measures 12 feet in height and weighs approx 3.4 tons. The never-seen-before tyre manufactured by JK Tyre is exclusively developed for India’s biggest rigid dump-truck. Launched in the year 2014, the gargantuan dump-truck possesses a payload capacity of up to 240 tons. The leading radial tyre maker in India, JK Tyre had first exhibited the VEM 045 tyre at the 2014 International Mining & Machinery Exhibition (IMME) in Kolkata, which was the 12th edition of the biennial mining and machinery event. 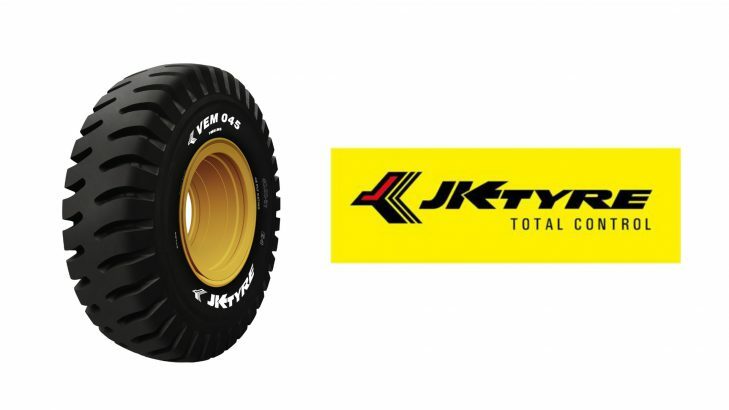 The New Delhi headquartered tyre giant, JK Tyre manufactures a comprehensive range of tyre products for the OTR (off-the-road) segment. The robust and competent tyre range for the industrial and mining use is made available in varied sizes for diverse needs and requirements. JK Tyre & Industries Ltd is an arm of JK Organisation conglomerate in India. The leading tyre manufacturer in India ranks among the top 25 tyre manufacturers across the globe. Its products are aimed at varied business segments in the automobile industry. The only tyre manufacturer in India to feature in the list of Superbrand in 2017, for the sixth time, has a worldwide presence in as many as 100 countries. Across six continents, JK Tyre & Industries Ltd owns and operates 12 production plants, with 9 in India and 3 in Mexico. With a cumulative manufacturing capacity of nearly 35 million tyres per year, in April 2016, JK Tyre took over Cavendish India Limited from Birla Tyres. With the acquisition, JK Tyre entered into the money-spinning 2-wheeler and 3-wheeler market in the country. The pioneers of radial tyre technology in India, JK Tyre is at present the market leader in the Truck Bus Radial (TBR) category. Its state-of-the-art Raghupati Singhania Centre of Excellence (RPSCOE) was initiated in 2018 at Mysore, Karnataka.